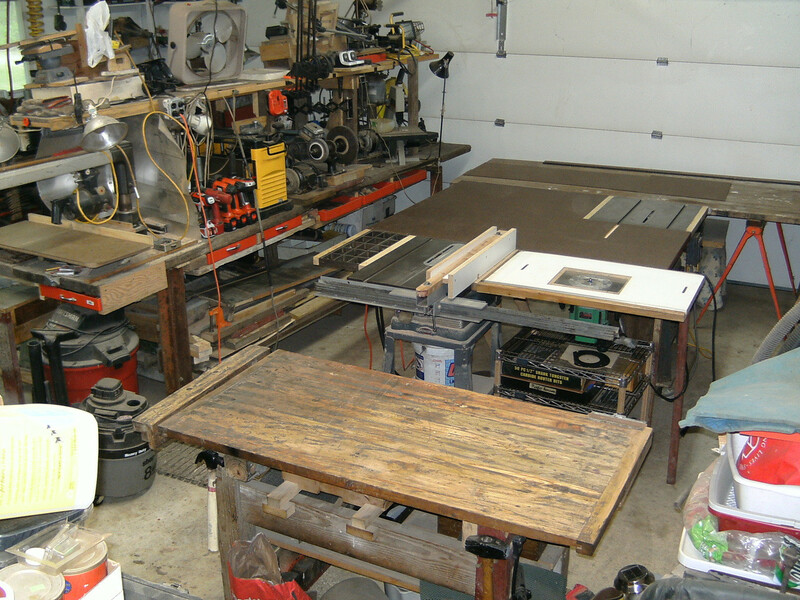 An adjustable table saw out-feed table. I saw some unused office chairs about to be thrown out at work, so I had an idea what I could make with them. I asked and was given permission to take them. I've always wanted an out-feed support for my table saw so this is what I came up with. I found this an easy tool to make and it saved some stuff from the landfill. A good use of re-purposing something. The commercially available out-feed table is the second picture it's the one with the steel roller balls. Remove the seats and the backs, remove the wheels from one of the chair bottoms. Place one of the chair bottoms, upside down onto the other chair bottom, this is the part that the seat was attached to, they are going to be bolted together. Since the chairs I had were identical the holes lined up. Put the out-feed table with the wheel-less side down. Because of the gas shock sticking out I had to form a base out of 2x6's. To raise the height just use the original chair height adjusting levers. To lower it you will have to move one of the levers and press down on it, to lower it. The out-feed stand can be adjusted from 24 inches to 34 inches, if you need more height you could add it to the base. I used the out-feed table with my saw and it works fine, I did have to raise it up with a couple more 2x6's though. In case you are wondering what my table saw is mounted on, it's an old manual type writer stand I found at a Goodwill store years ago. My saw fit perfectly on it. Love it! Great recycling project, making something useful out of what would otherwise be junk and definitely thinking outside-the-box. These common office chairs are practically disposable and easy to find. I've recued and repaired a few, but never though of using the parts like this. Thanks again. Thanks JGDean, I like finding something and thinking of another use for it. Thanks for the comment sethd1985, it works well. Thank you emammas, office chairs are labour intensive to recycle so I managed to save most of two of them from the landfill. Very nice idea John! Great repurposing of otherwise useless chairs. I wish I'd seen this before throwing out our old office chairs... Have favourited this. Thank you for your comment, the day after I got the two chairs that I used, two more chairs were headed for the dumpster, so keep your eyes open items will appear out of nowhere. Yes it is an Out-feed table, I have to use my saw outside, so I needed some thing that wasn't attached to my table-saw and could be easily moved. I checked out your Instructables and I'm impressed with most of your items. See, it is flat, and the saw is right on it.